A crochet hook, yarn and a little creativity. Dog hair optional. A while back I bought one of the new Furl’s Odyssey crochet hooks. I am hooked! I can crochet for hours and hours with no more aching hand! So I splurged and bought one in every size they had (I will get the B, C and D when they have them in stock). Although they are much more expensive than the aluminum hooks you can buy anywhere, I need them so I can crochet pain free. Maybe someday I will really splurge and buy one of their beautiful heirloom wood hooks! I came up with a solution to the hooks not having the size marked on them in any way (Furl’s, you need to do something about that!). I got a white paint pen and wrote the size on the ends, which worked nicely. The paint pen gives you some time to wipe it off and redo, which I needed because neatly writing on that slippery, tiny end wasn’t easy. Let them dry and they were good to go. The bag you see behind them is a bit of a splurge too. I needed something to keep the hooks in, and they wouldn’t fit in any case I already had. 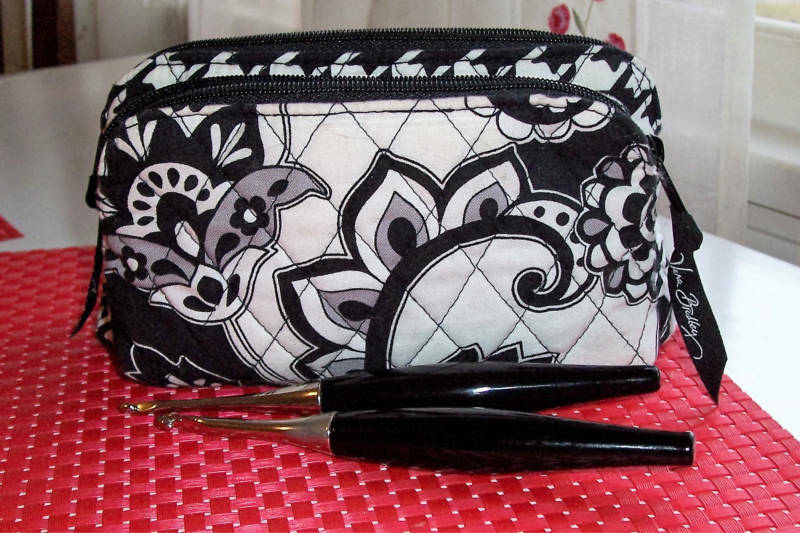 This is a Vera Bradley Double Zip Cosmetic (got it on sale) and it is working perfectly! The larger side fits all my hooks, with room for a few more and the smaller side has plenty of room to hold notions, scissors and other needful things. Although the hooks are just loose in there instead of each having their own individual slot, at least they are all together in one place and not getting lost. The cosmetic bag comes in a few other patterns too. I have no affiliation with Furls or Vera Bradley and get nothing from these links, just love them! 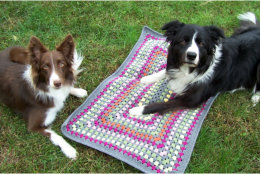 Enter your email address to follow Crochet Again and receive notifications of new posts by email.